8. That you just had to look up the word "imminent." 7. Every midterm political candidate just elected. 6. Getting caught in the middle of a violent iPhone 6 vs. Galaxy S5 argument. 5. Any Trax train, anywhere, at any time. 4. 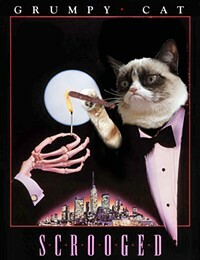 The Grumpy Cat Christmas movie. 3. A 24-hour infotainment cycle that calls itself "news." 2. Infotainment lists posing as "serious commentary." 1. The unchecked Iggy Azalea pandemic—there is still no vaccination!